Carol Allen is a native of Chicago, Illinois, and earned a bachelor degree in music performance at DePaul University. She is a veteran of the United States Continental Army Band, and was stationed at Fort Monroe. 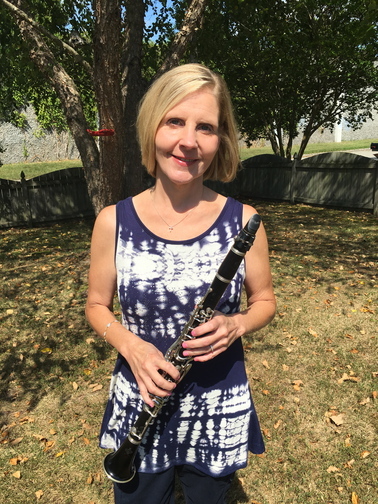 Currently, Carol enjoys playing in the Chesapeake Bay Wind Ensemble and YRSO, as well as teaching at Music and Arts. Diana Ruffer is a freelance musician and private teacher in the Hampton Roads area. Diana obtained her Bachelor of Music from The Boston Conservatory and earned her Master of Music from New England Conservatory. 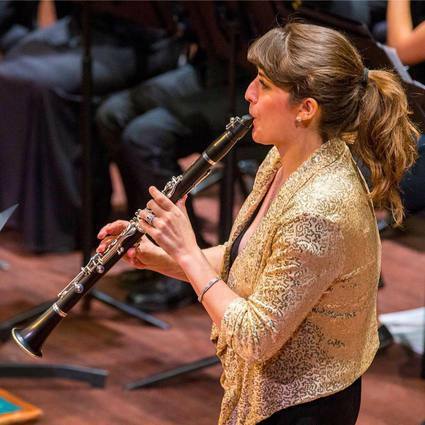 She enjoys commissioning compositions, as well as playing in chamber groups and in large ensembles. Tickets may be purchased at the concert venue for $14 or $12. They may be ordered online or at our Box Office location at a $2 discount. Our Box Office location is Jam Central Music and Sound at 1900 George Washington Memorial Highway, Suite H, Yorktown, Virginia; Ph: (757) 310-6154; Hours: Mon - closed, Tue-Thu 10am-8pm, Fri-Sat 10am-6pm, Sun noon-4pm. Box Office tickets are available during the two weeks prior to the addressed TNCC concert. The York River Symphony Orchestra will perform a free concert featuring Pirate Music at the Watermen's Museum in Yorktown on Sunday April 28 at 3 p.m. If you are interested in playing with the YRSO, contact either Eric Reiff Conductor, at the Music Library of Hampton University, (757) 727- 5411, eric.reiff@hamptonu.edu or Barbara Eger, Personnel Director, (757) 267-2959, bfeger@yahoo.com. The orchestra currently has openings for strings, bassoon, trombone and percussion. We are glad to put other instrumentalists on the "extra" list. The YRSO rehearses Monday evenings from 7-9 pm at York High School. The York River Symphony Orchestra is a non-profit (501 (c) 3) musical ensemble of amateur and professional musicians who offer quality programs to the community.